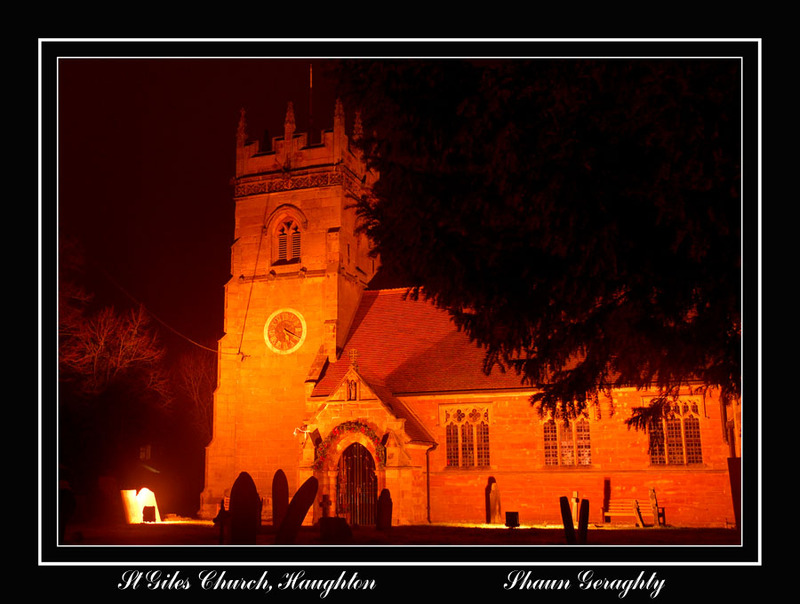 St Giles Church, in Haughton, the next village to mine. Difficult to avoid overblowing the floodlight. 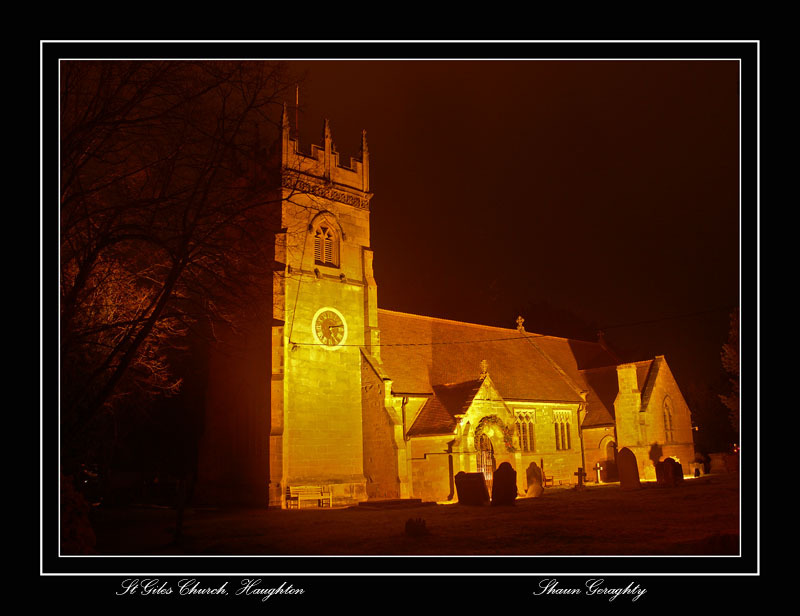 I was hoping for a twilight shot but the lights on the church didnt come on until it was fully dark.